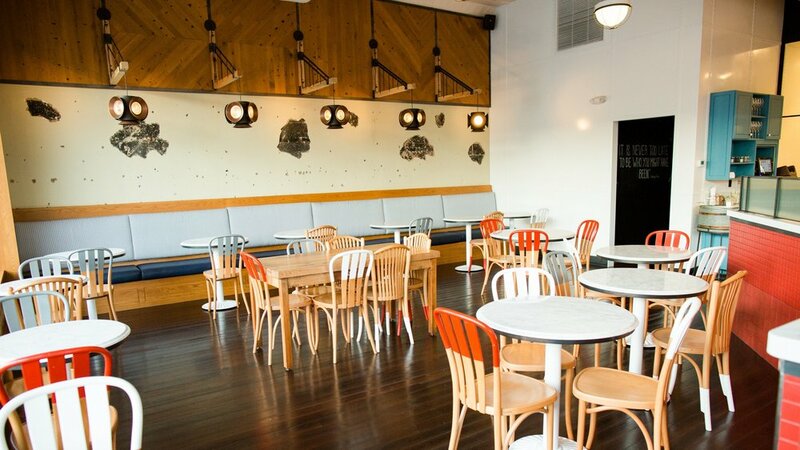 Project is the renovation of an existing 5,000 sq ft tenant space in the Del Ray neighborhood of Alexandria, VA. 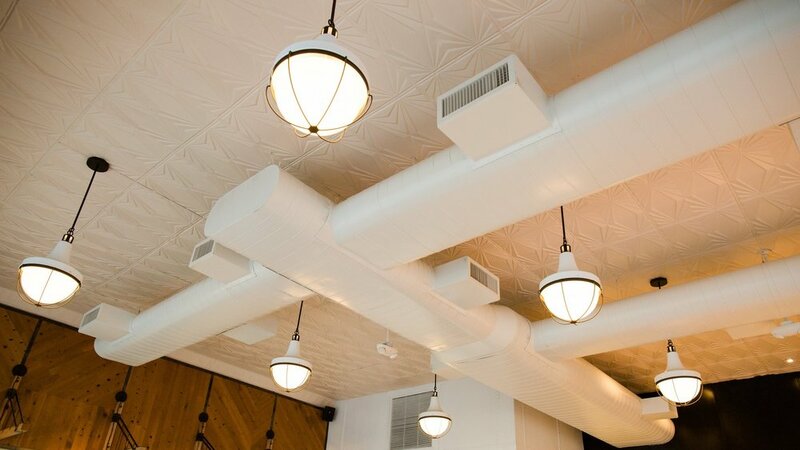 Notable architectural design by CORE included the rehabilitation and re-finish of the existing tin ceiling tiles that were previously hidden above a lay-in ACT ceiling. 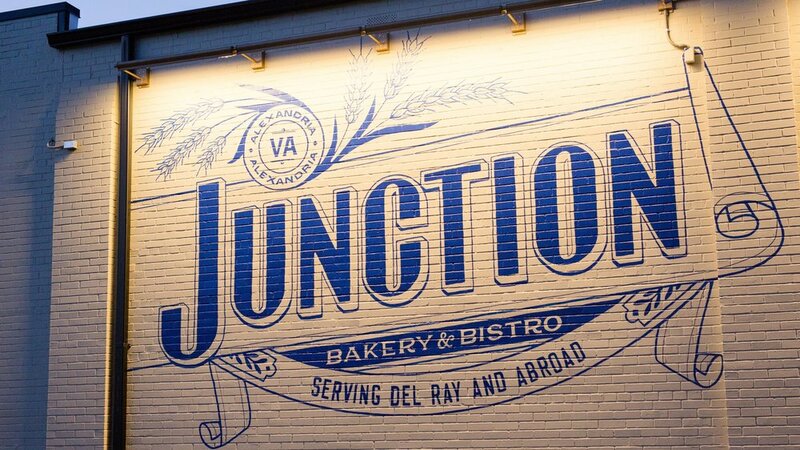 On the exterior, the architectural scope included the installation of a rooftop equipment screenwall and the painting of the Junction mural. The mechanical design included new concealed and exposed spiral ductwork with associated diffusers to serve the renovated space from existing and new packaged rooftop units. The design also included a new gas-fired make-up air unit. The make-up air unit served the new commercial kitchen exhaust hood for the baking area as well as a new dishwasher hood. The hood design was coordinated with Captiveaire kitchen consultants. DesignTech also provided coordination for the airflow requirements for a new bread oven. The electrical design included connections to new lighting and power from existing electrical distribution panels. The Plumbing design included demolition of existing kitchen equipment and modifications to the plumbing systems to accommodate connections to new kitchen equipment. Fire Protection design included scope definition and performance specification for the Fire Protection contractor to bid.